My Studio Gallery is just a few steps from Broadway, 86 3rd Avenue SW,in Nakusp. 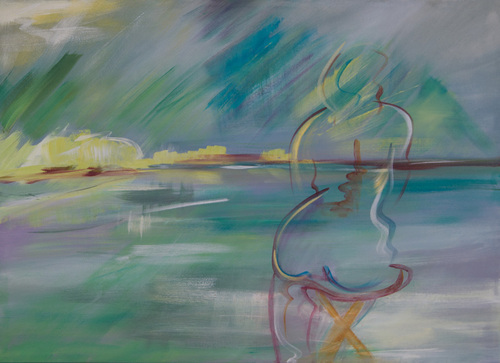 My paintings combine expressive figurative work with the local landscape. An Open Studio every Saturday afternoon in July and August is from 1pm - 4pm. Come along and visit, and enjoy a tour of the other galleries and studios in Nakusp. Weekends during the summer months.